Rock Band is one of the most fun games I have ever played and tonight was the first time I managed to get 100% on a song. I was so pleased with myself that I had to blog it so it could be marked in history as the moment I flawlessly played a pretend guitar and thought I was a rock legend! 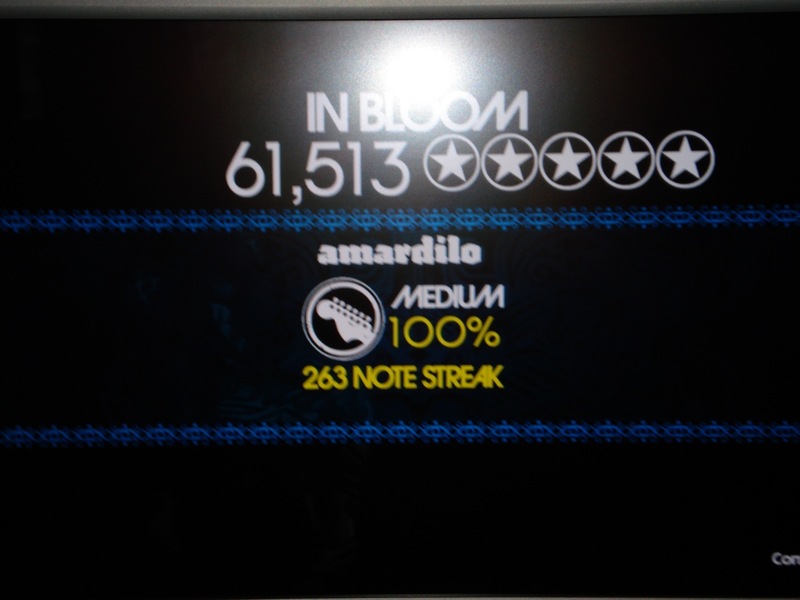 It maybe one of the easier songs on the set list and I was only playing on medium but it won't stop me bragging about it. Another Holiday Over and I’ve Achieved Nothing.